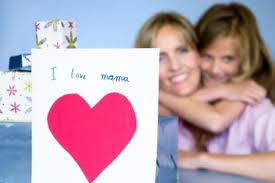 Mothers Day is celebrated in several countries including US, UK, India, Denmark, Finland, Italy, Turkey, Australia, Mexico, Canada, China, Japan and Belgium. People take the day as an opportunity to pay tribute to their mothers and thank them for all their love and support. The day has become hugely popular and in several countries phone lines witness maximum traffic. 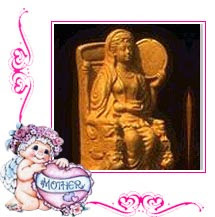 There is also a tradition of gifting flowers, cards and others gift to mothers on the Mothers Day. The festival has become commercialised to a great extent. Florists, card manufacturers and gift sellers see huge business potential in the day and make good money through a rigorous advertising campaign. 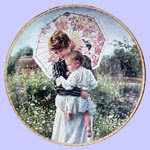 celebration of Mothers day in US was first suggested by Julia Ward Howe in 1872. An activist, writer and poet Julia shot to fame with her famous Civil War song, "Battle Hymn of the Republic". Julia Ward Howe suggested that June 2 be annually celebrated as Mothers Day and should be dedicated to peace. She wrote a passionate appeal to women and urged them to rise against war in her famous Mothers Day Proclamation, written in Boston in 1870. She also initiated a Mothers' Peace Day observance on the second Sunday in June in Boston and held the meeting for a number of years. Julia tirelessly championed the cause of official celebration of Mothers Day and declaration of official holiday on the day. Her idea spread but was later replaced by the Mothers' Day holiday now celebrated in May.